We will not venture into the details; look to the newspapers for much of what Melancthon means by “shameful acts.” But what of the reason for the tradition of celibacy, such an entrenched tradition that it is considered a Sacrament by so many? For one, being considered a Sacrament, it is said that this celibacy merits forgiveness of sin and salvation. 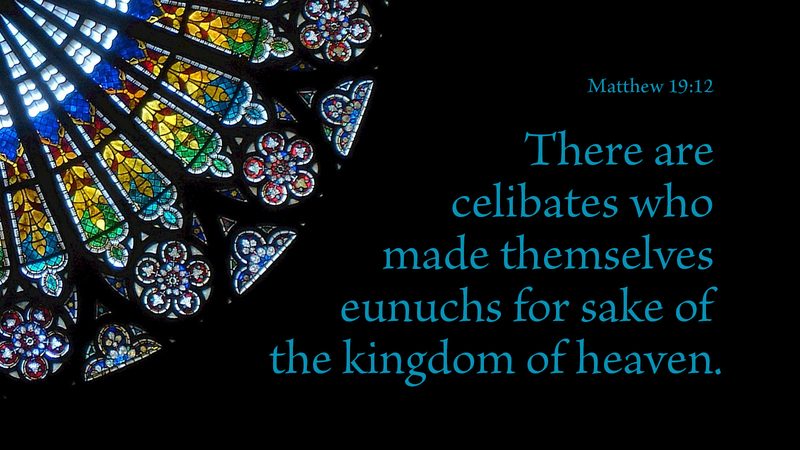 Now, there is nothing wrong with celibacy for the sake of God’s kingdom on earth, as Jesus says. Paul adds much to this as well. But there is only one thing that merits our justification with God. It is not our efforts—at celibacy or anything else. We are saved by God’s grace alone, through faith in Jesus Christ. Period. Prayer: Give me such faith, O Lord, that my faith is firmly in you. Amen. By What Authority is a book that confronts churches who no longer believe their own message. It is about the end of traditional Christianity as practiced in modern times—not a futuristic end, but an end already accomplished, or partially accomplished, in a majority of countries, cities, and churches. Strange as it seems, many Christians haven't noticed. But others were so concerned they've gathered in these pages the wisdom of alert pastors, theologians, laity, young seminarians, and evangelicals. They all have a story to tell you in their own voices. and it's a story so urgent and timely it opens your eyes in ways few might imagine.